Mercedes-Benz of Rocklin proudly serves the Sacramento and Northern California area. 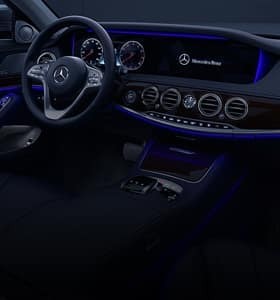 We provide the current line of luxurious Mercedes-Benz sedans, sports cars, and sport utility vehicles, and we can offer the expert maintenance and repair services that Mercedes-Benz drivers require. We’ve dedicated ourselves to world class customer service, and we want to provide you with the best buying and driving experience, so come visit us today if you’re searching for a new luxury car. Mercedes-Benz of Rocklin offers the whole diverse Mercedes-Benz lineup in our showroom here in Rocklin. Whether you need to comfort, versatility, and capability of the Mercedes-Benz GLS crossover SUV, or you want the refinement and sophistication of the flagship S-Class sedan, or anything in between, we’re happy to help you find the right vehicle for your needs. We also provide gently used premium models from Mercedes-Benz, as well as other luxury automakers, including certified pre-owned vehicles. 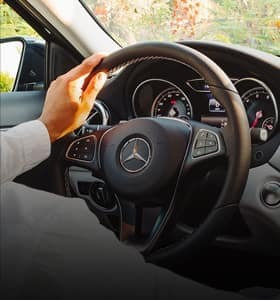 At Mercedes-Benz of Rocklin, we are happy to help drivers of all kinds find the right financing or leasing option. We provide flexible options through Mercedes-Benz Financial Services, including low interest rate loans. We can help almost any driver afford a new or used car, so contact our finance team now to learn more, or visit our finance center. 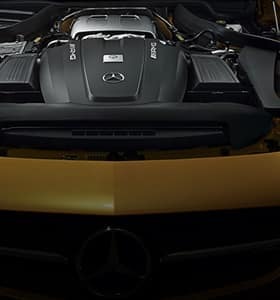 When you’ve purchased a new or used Mercedes-Benz, you’ve put your trust in some of the finest engineering in the world. Why go anywhere but an authorized Mercedes-Benz service center when it’s time for maintenance and repair? Mercedes-Benz of Rocklin can help you keep your Mercedes-Benz running like new, with both regular maintenance and repair services on site. We make it easy to schedule service online, so let us know when you’re planning to stop by so we can conduct your service as efficiently as possible. We also offer Express Service, which takes less than an hour and requires no appointment. 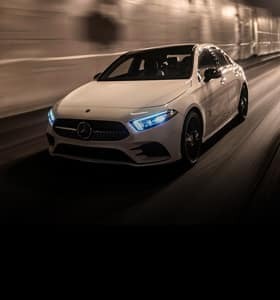 Visit Mercedes-Benz of Rocklin, your local Northern California area Mercedes-Benz dealer, if you’re in Rocklin, Roseville, Lincoln, Loomis, or Granite Bay. We’re happy to help you find your next car and take care of all your maintenance and repair needs, so visit us today or contact our team online now with any questions.